How to make use of Associations? I have been curious about it for long. Now that Mathematica 10 arrives, I think it's time to ask the question: How the new Association data structure would be used to improve Mathematica programming? (1) How fast is the key-search in Association (on the website it is said to be extremely fast)? Would it be $O(N)$ or $O(N \log N)$ (note added: those estimate are stupid. See benchmarks below and more in answers)? Is it recommended to be used with a lot of keys? Also, how fast is the operation of inserting a key to an assoication? Would it be $O(N)$ or $O(N^2)$? (3) The new structure Dataset is built upon Association. Is it efficient enough in terms of both memory space and computational speed, that I can use DataSet to store and calculate big data (say, table with more than 10 thousand rows, like MCMC chains)? Previously I used pure array. (4) Examples where old code can be improved making use of Association? I have read through the guide about Association, which is basically a collection of related functions. It would be great if the usefulness of those functions could get explained. Note that, in the first figure, deletion is fast only when using Most or Rest. Delete[store, -1] and Delete[store, 1] are as slow as Delete[store, otherNumber]. Also, in the second figure, Association and Dataset takes almost the same memory thus not very visible. I will first try to briefly answer the questions, and then illustrate this with a small but practical application. One may ask how does immutability even allow for such performance characteristics, and this is where it becomes non-trivial. Basically, it is this combination which is very important for our case, since Mathematica favors immutable code. This small benchmark is important, since it shows that on one hand, insertion and deletion are fast enough that the runtime is dominated by the top-level evaluator (in the case of per-element insertion), and on the other hand, the difference is still not the order of magnitude or more - so insertion / deletion time is comparable with the top-level iteration overhead (although half - order of magnitude smaller). The difference can be larger for more complex data structures, but it also can be smaller if many keys point to same expressions, since ByteCount does not account for memory-sharing. Possibility to access deeper levels inside Associations transparently by structural commands such as Map. Deep integration into the language - many old commands work on Associations, and there are many new functions (GroupBy, JoinAcross, etc), which make it easy to accomplish complex tasks. Of these, I value immutability the most. What this means is that you can safely copy an Association, or pass it anywhere, and it becomes completely decoupled from the original one. It has no state. So, you don't have to worry about deep-copying vs shallow-copying, and all that. This is very important since most other Mathematica's data structures are immutable (notably Lists, but also others such as general expressions, sparse arrays, etc). It takes a single mutable structure to break immutability, if it is present as a part in a larger structure. This is a really big deal, because it allows one in many cases to solve problems which otherwise would require manual resource management. In particular, should you use symbols / their DownValues, you'd have to generate new symbols and then manage them - monitor when they are no longer needed and release them. This is a pain in the neck. With Associations, you don't have to do this - they are automatically garbage-collected by Mathematica, once no longer referenced. What's more, also other expressions inside those Associations are then garbage-collected, if those are also no longer referenced. which illustrate my point of transparent access to deeper layers even more. So, what does this buy us? A lot. We do use here immutability heavily, because it is only due to immutability that functions such as Map can operate on Associations efficiently, producing new ones, completely decoupled from the old ones. In fact, as long as manipulations are structural ones on "higher levels", this is very efficient, because the actual expressions (leaves at the bottom) might be untouched. But there is more here. With just one command, we can transparently inject stuff on any level in an Association. This is very powerful capability. Just think of what would be involved in doing so with the traditional hash tables (nested DownValues, for instance). You will have to generate several symbols (often many of them), then manually traverse the nested structure (non-transparent, much more code, and slower), and also do manual resource management for these symbols. I may expand later on this, but many examples have been given in other answers. Basically, lots of functions (Part, Map, MapAt, MapIndexed, Delete, etc) do work on Associations, including nested ones. Besides, you can use multi-arg Part on nested associations having inside them other expressions (Lists,Associations, etc). In addition to this, a host of new functions have been introduced to work specifically on Associations, making it easy to do complex data transformations (GroupBy, Merge, JoinAcross, Catenate, KeyMap, etc). The language support for Associations is approaching that for List-s. Together, they make the core of the data-processing primitives. So, the addition of Associations to the language made it strictly more powerful, primarily because of two things: level of language integration and immutability. 3. Dataset and large data. Right now, Dataset is not suitable for working with really large data (the one that does not fit into memory). Since Associations are rather memory-hungry, it puts additional constraints on the sizes of data sets amenable to the current version of Dataset. However, work is underway to address this problem. Currently, the best way to view Dataset is IMO as a query language specification with an in-memory implementation. In the future, it can also have other / different implementations / backends. Also, in practice, a lot of interesting data sets are still small enough that can be effectively worked with using Dataset. This is particularly true for various "business-type" data, which tend to often not be very huge. The huge data often involves large numerical data sets, and I am sure this case will be addressed by the Dataset framework in the near future. This method is Ok, but it has some short-comings: one needs to introduce several internal mutable variables, which must be manually managed. Also, the instance variable itself must be managed. What if I do want the changes made to the object to be reflected in other places where the object is used. In other words, what if I don't want to create an immutable copy, but want instead to share some state? So, this method is fine as long as the problem can be completely addressed by immutable objects (no state). what happens here is that we capture the Module variable, and use it inside the Association. In this way, we inject some mutability into otherwise immutable structure. You can see that now, we can define "methods" - functions which work on this particular instance, and possibly mutate its state. "fullName" :>  self@"firstName" <> " " <> self@"lastName"
and then call just pinfoSM["fullName"] (this is possible because Associations respect RuleDelayed for the key-value pairs, and don't then evaluate the r.h.s. (value) until it is extracted). In this way, the fields can be made to behave similar to Python's properties. The reason is that while self has changed, the pinfoSM still stores the same field values for lastName and firstName. As it should be. It is understood that the fields "_firstName" and "_lastName" are private and should not be accessed directly, but rather via the "accessor" fields "firstName" and "lastName". This provides a level of indirection needed to account for the changes in self correctly. So, this version is stateful. Still, depending on the problem, it may have advantages. One is for cases where you want all instances of the object to update if you make a change in one (in other words, you don't want an independent immutable copy). Another is that the "methods" here work specifically on a given instance. You do need to manage these objects (destroy them once they are no longer referenced), but here you only have one symbol which is stafeful. I find this construct to be a nice combination of mutable and immutable state. Here, I will illustrate the utility of both Associations and a new operator form of functional programming in Mathematica, by constructing a toy hierarchical database of stock data. Note that the code to construct this result heavily uses the operator forms for various functions (here Map and Prepend), and also Composition is frequently used. This has many advantages, including clarity and maintainability (but there are others too). The pushUp function is basically GroupBy, wrapped in a different syntax (which makes it easier to specify multi-part paths). I have simplified from the one I have used for my purposes - the original version was also deleting the key on which we group, from the grouped associations. Note that this operator approach has a number of advantages. It is declarative, and at the end we generate a complex transformation function which can be analyzed and argued about. You can see the immediate advantage of this - it is very easy to construct any other nested structure we want, with different grouping at different levels. Along the same lines, here is how we can construct queries to run against this structure. For simplicity, I will only consider queries which specify explicitly the keys we want to keep at each level, as a list, or All if we want to keep all entries at that level. It also heavily uses the operator form, constructing a rather complex function to query the nested data set, from a simple spec. Now, let's look back and see what we've done: in just a few lines of code, we have constructed a fully functional small hierarchical database (actually, a generator of such databases), based on nested Association-s, and then a query generator which allows one to construct and run simple queries against that database. Now, this has been a toy dataset. Is this construction practical for larger set of data (like, tens of thousands of records and more)? Yes! I have originally written this type of code for a problem involving data sets with hundreds of thousands of records, and the queries run extremely fast, as long as most of the data is categorical in nature (can be reduced to a finite small set of distinct keys on each level). Now, think about what would be involved in implementation of this type of thing without Associations. My bet is that this wouldn't even be possible, or at the very least would've been much more work. And because usual hash tables are not immutable, the whole elegant operator approach of construction of queries / transforms as function composition in a declarative way wouldn't even come to mind (at least as far as I am concerned). Incidentally, Dataset uses a more complex version of the same set of ideas. I can now also partly answer the questions many people asked about what does the Dataset bring which isn't readily available without it. The answer is that, by generating queries in a way conceptually similar to the above query function (although, of course, in a much more general way), it brings a new level of automation to the query construction, particularly for nested hierarchical data sets. In a way, query is a toy example of a compiler from the simple declarative query specification to an actual query that can be run. The more complex is the query, the more this layer will buy you. So, at least for me, the presence of Associations in the language (as well as the operator form of many functions) not just simplifies many tasks, but actually opens new ways of thinking and programming. Dataset is designed explicitly for hierarchical data. It supports any 'shape' of data, inferring the shape when the Dataset is first created. It also tracks the shape of the data as transformations are applied to the dataset, using a type-inference scheme. When the data has certain forms it formats "nicely", an example would be a list of associations whose keys are all the same -- these get formatted as a table. First of all, it's not a new data structure, it's a new only in a Wolfram Mathematica. About complexity of a data structure. Note 1: The map from one element is a most inefficient for searching. Note 2: I've taken 1, 32, 1024, 32768 and 1048576 items respectively for 1..5. And try to find RandomInteger there. Same code for AssociateTo and KeyDropFrom leads to O(1) and O(1) respectively. Would it be O(N) or O(N log N)? Would it be O(N) or O(N^2)? Pattern matching and Association is a completely different things, but, in some cases can be interchanged. And other possible patterns and matches. This kinda more powerful than Association, isn't it? Not the answer you're looking for? Browse other questions tagged version-10 core-language data-structures associations or ask your own question. V10's Operator Forms - what are they good for? 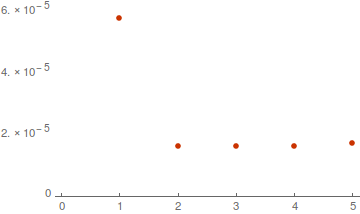 Does Mathematica have Month Range and Day range? AssociationMap to query Dataset across levels? How to convert a notebook to an association and back? Does Mathematica support an unordered set (e.g. hashset) data structure?